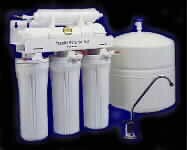 Select your Kiss International Water Filtration system below to find comparable replacement filters. Kiss International no longer manufacturers reverse osmosis systems. The company name has been changed to Drinking Water Solutions. Previously, the RO Systems were also branded under the company name Aquagenics. 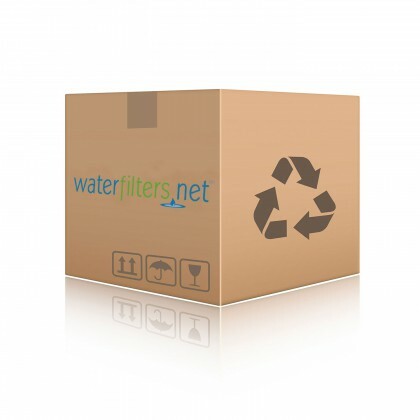 Email support@waterfilters.net if you cannot find your Aquagenics, Drinking Water Solutions, or Kiss International water filtration system or parts. If your Kiss reverse osmosis system is several years old it may have an 8 1/2" long membrane. These membranes are no longer available. You will need to replace the RO Membrane Housing with a new standard size membrane housing. 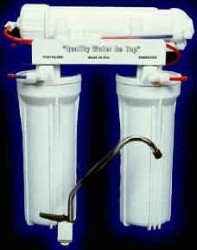 The standard size housing holds standard 12" RO membranes.